Musical Achievements: Guy has a BFA from UConn in music performance. He is a multi-instrumentalist and singer who is a full time musician. 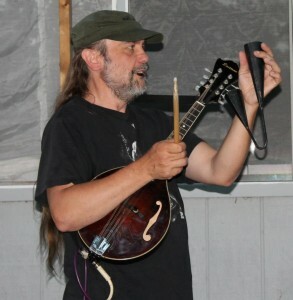 He has been teaching and performing for over 30 years. He is also a studio engineer and producer. Guy has been teaching since 1992, toured with the band Changes in Latitudes for 10 years, and performs locally with a variety of groups as well as playing solo. Approach To Teaching: Guy has an affable personality with an enthusiastic, and positive teaching style. He has a strong sense of the health benefits of music. He works with a variety of different methods depending on students’ needs and aptitudes. He also enjoys working with groups as well as with individuals. Have you ever noticed how older musicians seem younger than their ages? Hmmm… Have you ever wondered how “those people” do that magical stuff with their fingers on strings and valves and buttons create music? When you learn how to do music you crack the code of that magic and enter what I think of as the great garden in the land of fun!! The benefits to the brain and the body have been well documented. Children get better at math and social skills. Adults feel better as they become sharper in mind. It’s even good exercise to play in a band! Hey, go for it!